Had to make an account just to comment. LOVE the font!! Best steampunk font I've seen. @Quixdi Thank you so much. Its good to hear people like my font. Awesome steampunk font! Thank you for sharing!! I can use it in my game? does it work in photoshop? @runestorm i send you a PM. Awesome font, great job, can I use it for web logo? This is a GREAT font. Love it. Thanks so much. so nice..can i use this for logo? 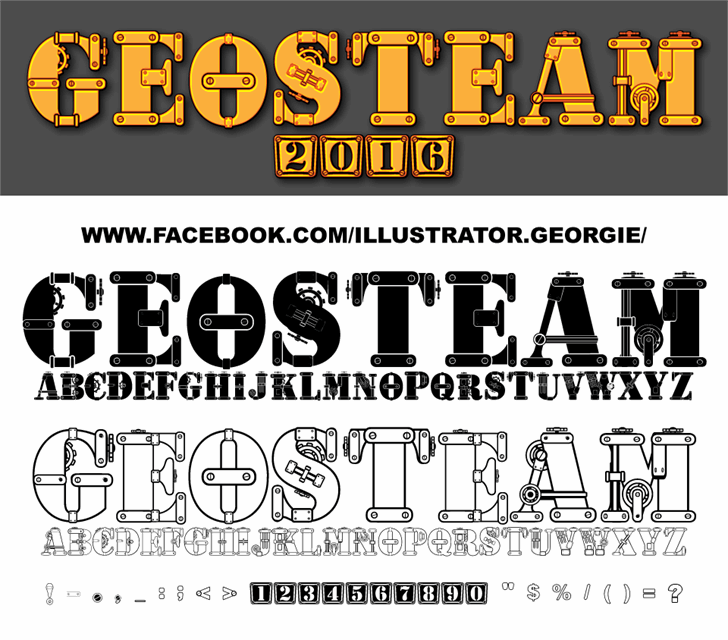 Geosteam is a font for all steampunk fans over the world!<br>Font generated by IcoMoon.